‍What is GitHub? 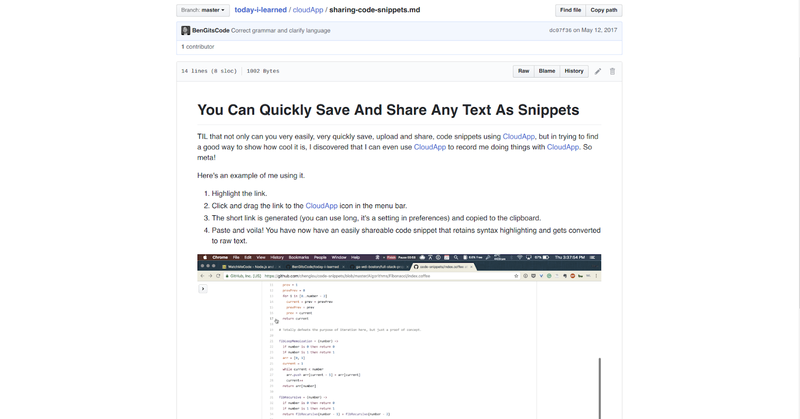 An amazing tool for making code changes fast and easy. Wondering what all the hype around GitHub is all about? GitHub is primarily a tool for developers to safely and quickly make changes to code. But if you work for a company that creates software products, it has a lot of benefits for your non-development teams as well. In the post below, we’ll cover the basics of Git (the software system behind GitHub), GitHub, and how they can help you work more efficiently. Before you can fully appreciate what GitHub is and how your business can use it, you’ll first need to understand Git. Git is an open source version control system created by Linus Torvalds (he’s a pretty famous software engineer who also created the Linux operating system). When developers create code (for example, a web or mobile app), they constantly make changes and updates to the code before and after it’s released. Version control systems like Git help developers keep all these code revisions straight, storing modifications made in a central location, called a repository. Managing code changes this way allows developers to easily collaborate - every developer working on the project can simply download a new version, make changes, upload the newest version without worrying about confusion or conflicting changes overwriting each other. While Git is primarily used by developers for creating code, it’s actually great for non-coding teams too. Why Should My Team Use Git? Let’s go over a few different ways your team can benefit from using Git. This is one of the biggest advantages of using Git. Unlike centralized version control systems (where all your code is stored in one place and changes need to be carefully made one at a time), Git makes it cheap and easy to make changes and merge them with your core code base. When a developer wants to start working on something - no matter how big or small the change - they simply create a new “branch” in the code with their changes, then once that change has been tested and validated, it can quickly be added to the main code without risking a new change breaking everything. Unlike working on code in a single, central repository, when developers use Git they each get their own local repository with the complete history of every “commit” - the changes made to your code base. This makes Git fast as it means they don’t need a network connection to review past changes or make new ones. And it’s more reliable - in a centralized repository system, if one developer breaks the code, no other developers can make changes until the mistake is fixed. Likewise, if a developer accidentally deletes their local repository, all they have to do is create a copy of someone else’s and they’re back up and running. Because Git has become such a widely adopted standard for version control, odds are you won’t have to train any new hires on how it works because they’ll already be familiar with it. Ultimately all these benefits lead to a faster release cycle for your software. Your team can work faster, safely make changes faster, and get up to speed faster when you use Git for your version control. But the benefits of Git don’t end with your development team, they can help with your marketing too. Because Git makes it easy to implement new changes, your development team doesn’t have to roll so many updates into one new release. So if one team member is working on a small update that only impacts existing customers, another is working on a new user interface, and your whole team is wrapping up a giant, game-changing feature, you can create separate announcements for each. For instance, you could send out an email newsletter about the small change, a blog post to announce the new user interface updates, and develop a full PR campaign for the game-changer. Gits branch workflow and local repository make it easy for your design team to rapidly prototype new UI/UX elements. Whether they want to implement an entirely new user flow or simply replace a few icons, they can test all their changes in a local repository that lets them see how the changes would look using a working copy of your code without the risk of breaking anything for your users. Your customer support team might be great at responding quickly to user problems and questions by explaining how your product works or directing them to relevant resources. But when the problem lies in your company’s software, they’ll need the help of your development team to create and implement a bug fix. Since Git makes updating your code so easy, there’s no need to wait for the next major release to patch the problem, instead, your development team can make a few quick changes and add them to your main code base fast. Faster fixes mean happy customers, fewer support tickets about the same problem, and ultimately lower costs for your business. 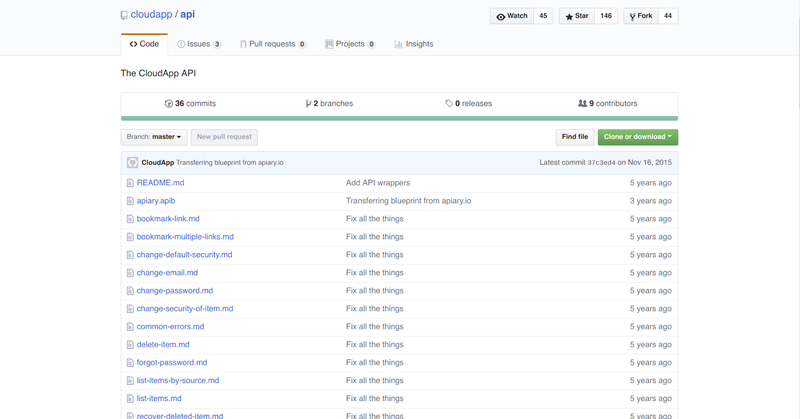 ‍We love using GitHub to share our CloudApp API with the world. Now that we’ve established what Git is and why it’s beneficial to use it, let’s go over GitHub. GitHub is a cloud-based publishing tool and hosting platform for individuals and teams using Git. In addition to making it easy for your team to store and work on your code, it’s also packed with social networking features that make it great for getting feedback and ideas from the broader software development community. Easily share your website or application when it’s in the development stages; whether you’re looking for feedback from stakeholders or want to get an expert opinion on your code, just send a link and anyone can easily review and test things in progress, rather than looking at flat mockups or reading through unwieldy documents. Browse and follow popular development projects to check out other developer’s work, build relationships with the broader software community, and even implement new features and strategies using other’s code (ONLY with their permission, of course). Track changes, issues, and milestones so you can know what collaborators are doing, ask them about bugs, and give them goals to work toward. How Can Our Team Use GitHub? GitHub has a host of powerful features that can help you better manage your development process and all the teams and people involved. GitHub’s built-in code review tools make changes happen faster and more safely by enabling your development team to quickly make changes but verify everything’s working before you update your main app or website. When a developer makes an update, they initiate a Pull Request that lets them tell others about the changes they’ve made. GitHub then groups comments, discussion threads, tasks, and review checks under that request to keep the conversation all in one place. Developers can also request reviews from specific people - fellow team members or managers - to make sure they get the feedback and approvals they need. GitHub makes it easy to see the differences between old and new code (which is what CloudApp's GitHub integration is all about). Their interface shows your source code side by side and highlights parts that are new, edited, and deleted. GitHub keeps comments in threads right within your code to make it easy to understand which comments apply to which parts of your software. You can also specify whether comments are required changes or just suggestions. To ensure your software stays operating with only the highest code, with GitHub you can also configure repositories to require status checks to reduce human error and administrative overhead. 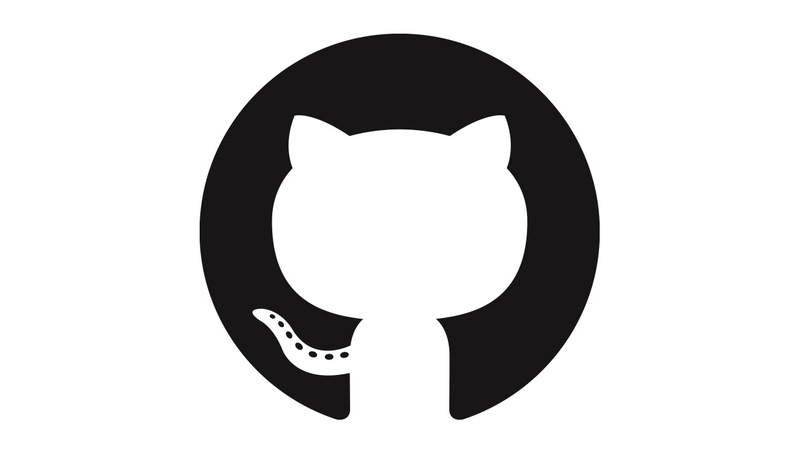 Since proper project management is key to an efficient and effective software development process, GitHub also includes a number of features to help you manage tasks and goals. Task boards that live right next to your code inside GitHub. Drag and drop cards to let you assign issues or pull requests to team members so it’s clear who’s working on what. Milestones to organize and track progress. Notes to capture ideas that might be useful but don’t belong to a particular issue or pull request. User roles to help organize teams and access permissions. Discussion threads with moderation tools to keep conversations on topic and your team focused. Community Guidelines to quickly set new team members up with an account and access to your codes of conduct. If you ask, your development team will tell you that quality documentation is essential to the health and scalability of your software. Integrations are a key aspect of most high-quality software these days, and GitHub is no exception. The GitHub Marketplace makes it easy to discover new tools to help your team communicate better and automate work. And they even have an API so your team can make customizations as needed. GitHub makes it easy for your development team to network with and learn from others in the industry. In GitHub, they can follow repositories from other developers to keep up with the latest changes on interesting projects, get project recommendations in a news feed to learn about the latest trends, and share their work in profiles to build their authority. GitHub offers plans from Free to $21 per user per month. GitHub is popular among developers for a reason - it’s a powerful tool that makes collaboration fun and easy. At CloudApp, we believe fast and easy collaboration a great thing, not only for your bottom line, but for your company culture as well. That’s why we’ve built a tool that brings HD video screen recording, GIF creation and screenshot annotation to the cloud in an easy-to-use, enterprise-grade app so you can quickly create and share visual content. Check out CloudApp's Screen Recording Tool for Developers to learn more.